An old fridge just dying for some color. Image courtesy of imgur and porch.com. Try covering it with chalk paint so he can keep a scoreboard for games, write tidbits of manly wisdom, etc. 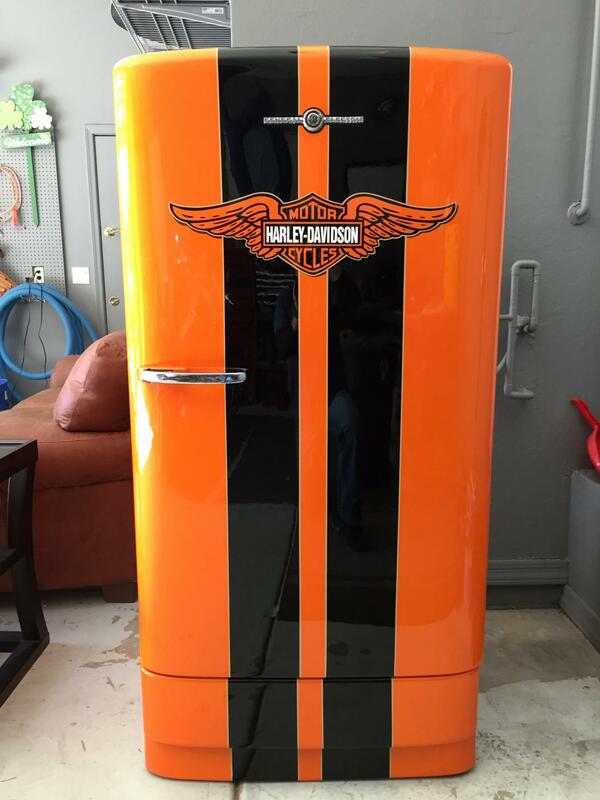 You can even paint it in the colors of his favorite team, movie theme, product theme (such a Harley Davidson painted fridge), and more. If you’re really talented with tools you can even add a few keg taps with instructions from the Kegerator Guide. Make your own R2D2 trash can. Image courtesy of Melissa Anosal. 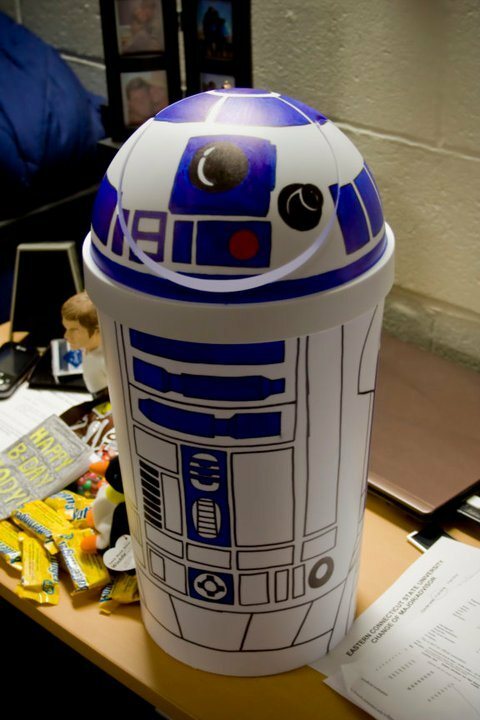 Take a plastic trash can and marker and make a R2D2! Melissa Nosal is worth checking out on her site of illustration and Graphic Design. She used marker for her creation that is still holding up after a year! Another gift that uses Sharpies (permanent markers), but is one that children would enjoy making is a decorated mug. Directions, images, and ideas can be found on DIY All in One and From Gardeners 2 Bergers. 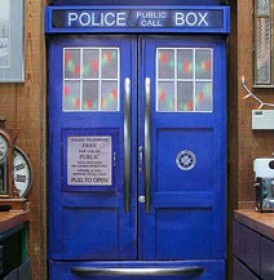 I hope some of these ideas will get you motivated and I’d love to see the creations that you’ve made for Father’s Day. So send them in to let us all appreciate your hard work. Thanks and to all the father’s around the world: Happy Father’s Day! This entry was posted in Uncategorized and tagged DIY, Father's Day, Gifts, make it yourself by thewritegirlforthejob. Bookmark the permalink. Thanks for mentioning my R2D2 trashcan gift. I made that back in 2011. Years later, it’s still holding up! Your welcome. It truly is a fabulous idea,so I’m not surprised that people still love it. My “Ring girl” tutorials were some of the first I ever posted and has had the same effect. Thanks for stopping by to check out my site.